Home Parenting	Meet 2ULaundry and get your first large bag of laundry FREE, just because! I bet if you ask any of your gal pals what chore they hate the most, 100% of them would say doing laundry. Laundry is a never-ending chore, especially if you have a growing family. Most of us spend the majority of our time either in carpool, at the grocery store or in the office. The last thing we want to do in our free time is laundry. Well Smarties, we have the perfect solution for you. 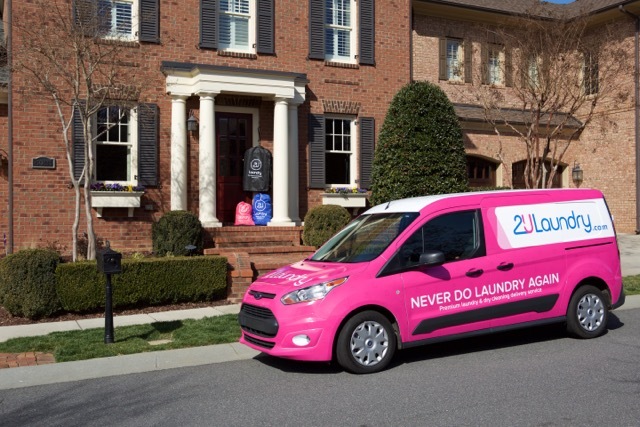 Meet 2ULaundry, your one-stop shop for laundry and dry cleaning needs. 2ULaundry is like having your own personal laundry fairy. You leave your dirty clothes and dry cleaning on your door step in the morning. You’ll get a text when your person picks up your bags. The following day, you’ll receive a text that your perfectly washed and folded laundry is waiting for you on your doorstep. It’s almost too good to be true. We call it #lifechanging. 2ULaundry was inspired by a radically simple idea – to give people more time. What initially began as a class project at Wake Forest University quickly evolved into something more. Co-founders, Dan Daquisto and Alex Smereczniak brought this concept to the Queen City after college and we’re sure glad they did. Thanks to these two, we Smarties will never have to do laundry again. 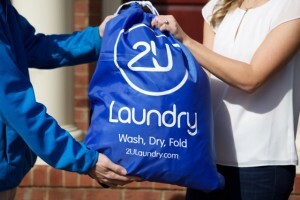 2ULaundry offers customized clothing care using eco-friendly products and includes laundry (regular, delicates and hang dry), dry cleaning/launder & press, and even mending for when your daughter’s uniform skirt suddenly has no buttons left. The pricing is competitive, when you calculate how much you spend on detergent, water, electricity and time. 2ULaundry cleans everything from blankets and duvets to curtains, tablecloths, and doggy beds. The best part is you can use them as often or as little as you like. Have company in town? Let 2U take the load off and use them first thing Monday morning. Or how about a ski weekend? There is nothing worse than washing all of that gear – it takes days for our family of 6 to recover. Or how about a week at the beach for spring break? Just bring your laundry home and let 2U do their magic. The list is endless. There is no reason not to try this amazing service. And guess what? 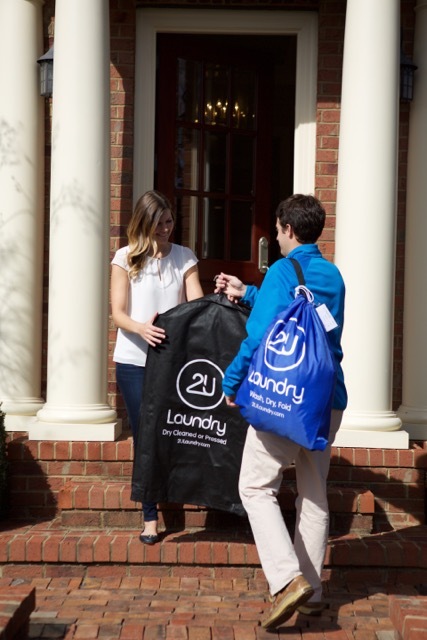 Our friends at 2ULaundry are giving EVERY SINGLE SMARTY READER 6 loads of laundry – picked up, cleaned, and delivered to your door for free. Yes, you read that right! You have no excuse not to try it. We promise, you’ll be forever hooked! Click here to enjoy your #lifechanging 2ULaundry Large Laundry Bag on us. You can thank us later.